In attempt to curb widespread of misinformation, the Facebook owned messaging service Whatsapp is now limiting Whatsapp message forwarding to only 5 people. All over the world it has been observed that Whatsapp users use the messaging app forwarding feature in a rather deceptive way, thereby using it to easily spread different forms of false information. Although this might not be the first time that Whatsapp is limiting message forwarding, as in July last year because of certain unpleasant incidences in India where false Whatsapp forwarded messages instigated increased mob attacks, Whatsapps decided to limit message forwarding from the originally allowed 256 people to 20 people. And now again as misleading Whatsapp forwarded messages continued to rise, Whatsapp has further limit forwarded messages to 5 people all in an attempt to curb widespread of misinformation with the forwarding feature. Like peer to peer message forwarding limitation, users will also be limited to forward messages to only 5 groups that can contain the maximum allowable number of members, which is put at 256 members. With the limitation we can say that it is not still full limitation since a total of about 1280 members can still be reached in group forwarded messages. 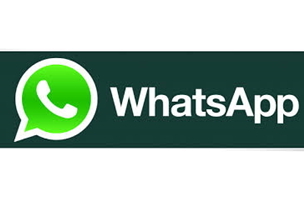 The limitation of Whatsapp message forwarding to 5 people have already kick-started worldwide and will certainly be made available when you update the Whatsapp app to the latest version.